Art in the warehouse space of VOICES X in Dubuque, Iowa. Miami, Florida and Dubuque, Iowa. I had been approached to exhibit at the Art Basel in Miami (I mentioned the fees for this show in blog no. 11). I was also accepted in a juried show for the "Voices X" exhibit in Dubuque, Iowa. While teaching, I discuss with my students the importance of research before entering calls-for-artists. I had visited, and shown in Miami, and researched the Voices exhibition as much as I could before entering. Other than opening night, are there any additional public events that will bring more people in to see the art or meet the artists. Ask what kind of events and how many events they are planning. Ask how many days and how many hours the exhibition will be open to the public after opening night. Some galleries are open only on the weekend. Who hangs the show and who takes down the show. What are the dates the work needs to be delivered, and when will it will be returned, and who will pay for delivery and insurance? 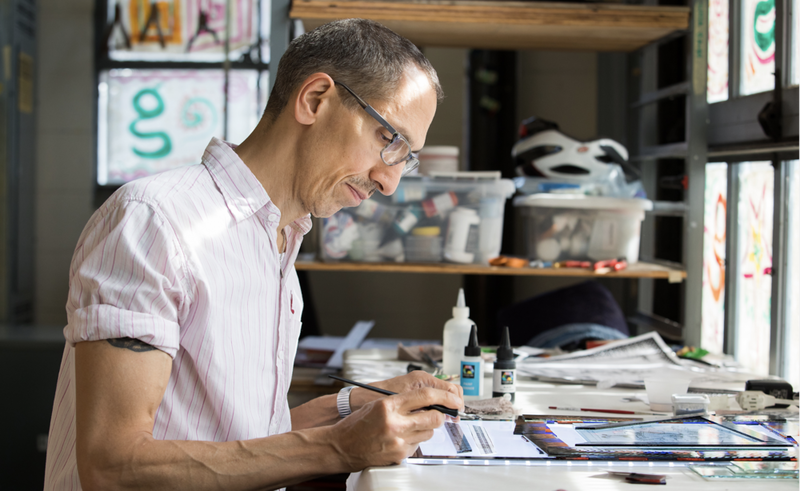 Can you (the artist) present a special talk or demonstration? And finally, what is the gallery and artist split? During my exhibition in Miami in 2012, I was able to mingle and observe the visitors first hand. Personally I saw less serious collectors than expected. People were there for the scene, and the overwhelming amount of work that was shown quickly exhausted my mind. There is only a certain amount of art one can view in any givenday. On the other hand, Dubuque had only 14 artists, and the turnout of collectors was enthusiastic and were very excited about the exhibit. Voice also had a very organized staff, they even offered a delivery allowance for my 20 works. I chose to be in the Dubuque show, and it worked out very successfully for many reasons. 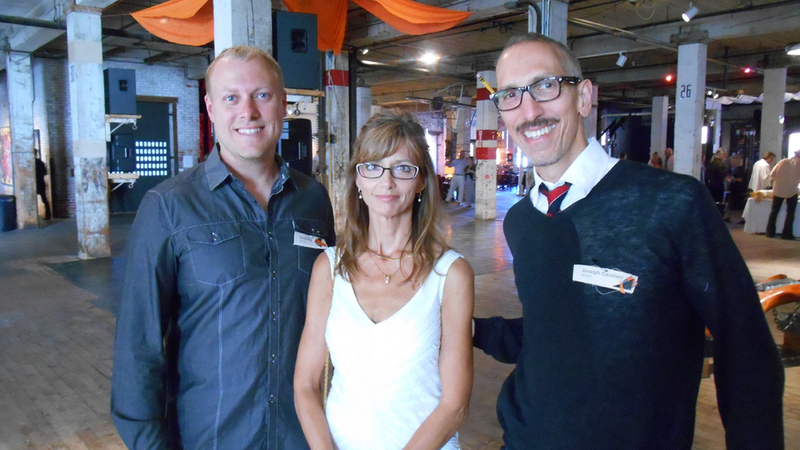 (l-r) Artist Todd Fry, Coordinator Janice Roerig-Blong, and artist Joseph Cavalieri. Why? Great sales. Voices has an excellent reputation for their choice of art, is shown in a large warehouse space, and has a very exciting opening night. This was the longest opening I have ever been in, 7 hours total. Most importantly, the public was extremely eager to be a part of this annual event. My point of this blog is not to put down the Miami show, but to stress the importance of showing your work in professional venues that may be less known, but more beneficial. . When I work with an exceptional gallery staff I give a special discount to them for any art they may want to buy at the end of the exhibition.